Your Krakow shopping experience is as varied as you want it to be: high quality domestic and international boutiques; state-of-the-art shopping malls; traditional markets and craftsman jewellers specialising in Baltic amber. 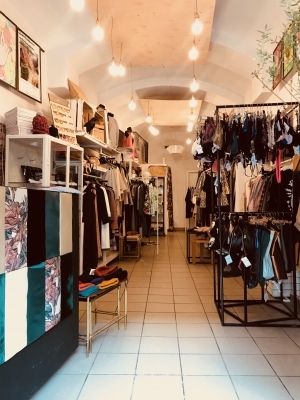 Find fashion and jewellery outlets along the Royal Route, or check out the Sunday flea market in Kazimierz’s Plac Nowy. Inside the Sukiennice on the Main Square, scores of artisans jostle for your attention, whilst throughout the year different seasonal markets are to be found. Le Szapo - a shop with hats and caps in Krakow "Le Szapo" is an unusual, Polish-French shop with hats from designers from around the world.